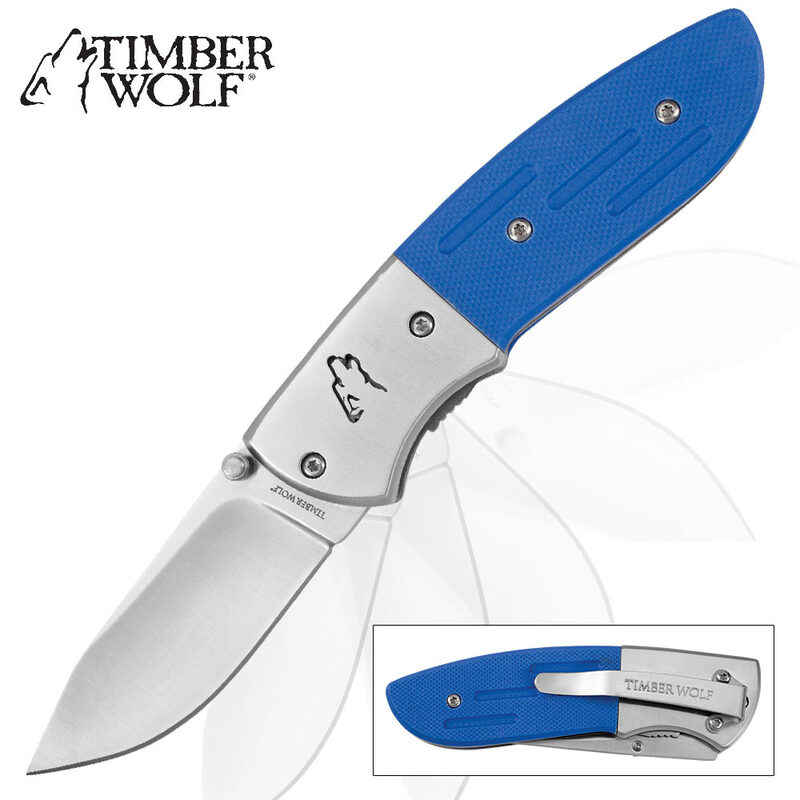 Timber Wolf Blue Howling Wolf Pocket Knife | BUDK.com - Knives & Swords At The Lowest Prices! 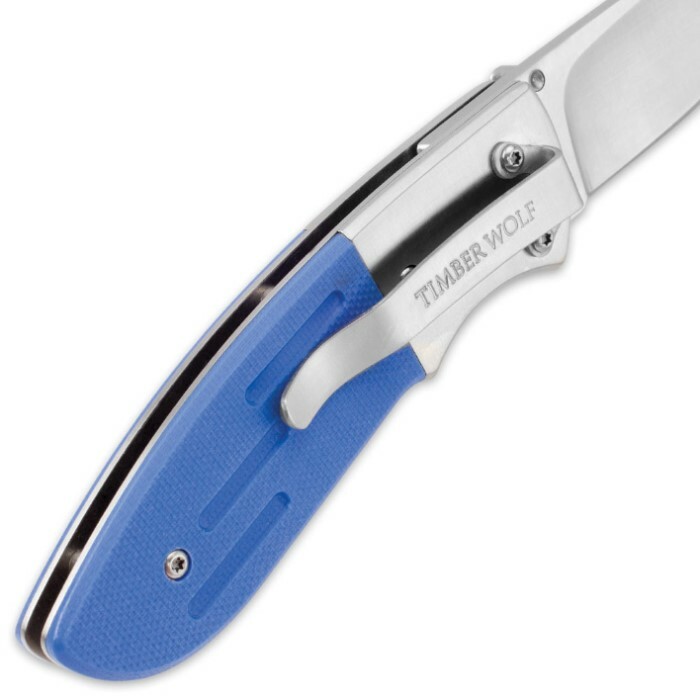 Our Timber Wolf Blue Howling Wolf Pocket Knife is the perfect tool to have with you when you’re out on the trail, on the hunt or at camp. The 3” stainless steel blade has an attractive satin finish and is up to all of your cutting tasks. The blue textured G10 handle gives you a secure grip when you’re using the EDC pocket knife and the satin finished bolster is accented with the iconic Timber Wolf howling wolf. 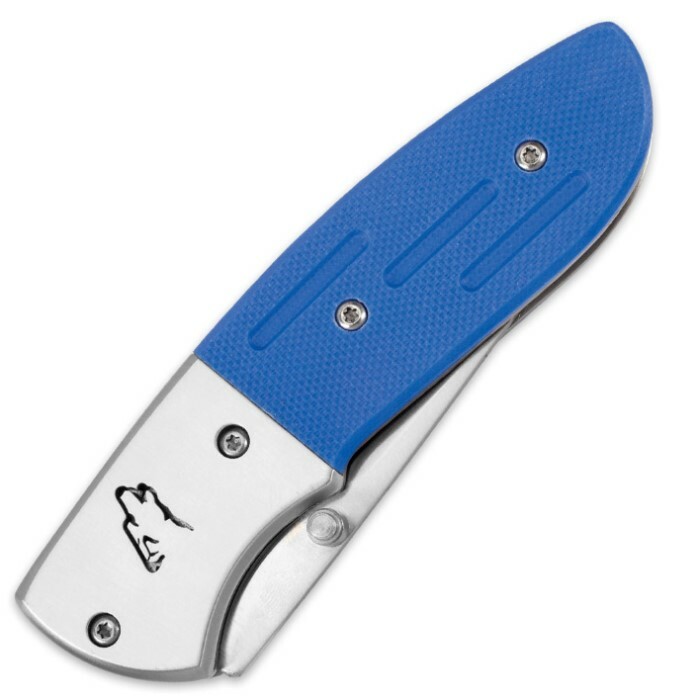 A stainless steel pocket clip lets you carry this pocket knife with ease. The Howling Wolf Pocket Knife will be your constant companion!